We are so lucky to have a provincial newsletter written by youth services staff in British Columbia. Every quarter we contribute a column called We’ll Link to That! where we share our favourite resources. 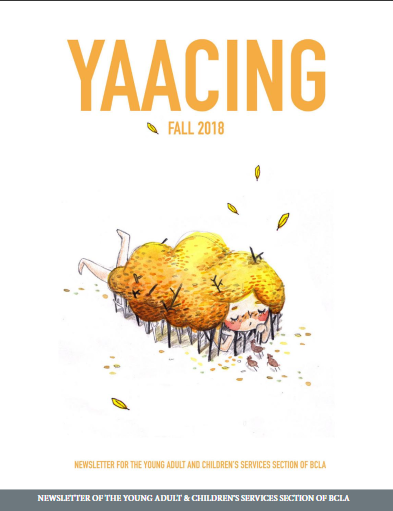 The Fall 2018 edition is here! Be sure to read the whole thing for some excellent youth services ideas. Want to catch up on our column? Browse through the We’ll Link to That category on our Professional Development page. We’re kicking it old school this time around with a link round-up of some amazing ideas we’ve seen floating around the web. Need some fall inspiration? We’ve got you covered. Over on our Jbrary blog we’ve been fortunate to have some amazing guest bloggers contribute to our Talking to Kids About Race series. Use a curated list of racially diverse storytime books and learn how to give early literacy tips around the topic of race. Following the social justice topic, we also wanted to share an inspiring post by Hi Miss Julie about Outreach in a Time of Uprising where she addresses how to be vulnerable in our work and how to pay attention to the needs of a community. And you know how strongly we feel about community outreach! Looking for new ideas to serve your early years community? Short on funds? Check out these Homemade Interactive Play Stations intended to foster creative and imaginative play without costing a fortune. If you’re looking to build up your STEM programming for preschoolers, this Computational Thinking in Storytime with Robots blog post shows you the books, songs, felt activities, and extension activities that blend early literacy and technology seamlessly. Over on the ALSC blog we found these visual schedules a great first step in making storytimes inclusive for all families. We are so excited Miss Meg is back blogging and were wowed by her Fairy Tale Ball that capitalizes on the lasting power of folk and fairy tales for a wide age range. 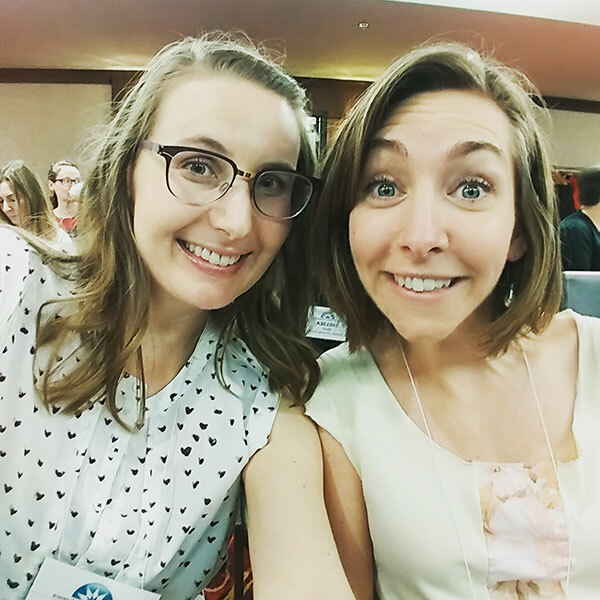 Lastly, we had heart eye emojis for this Mini Masters of Library Science program that is sure to inspire a new generation of youth services librarians! Summer Reading Club is officially over (thank GOODNESS!) but how are you going to keep those eager readers plugged into the library? We got you. LibraryLaura and her coworker Jen reminded us that book character parties are a blast any time of the year. Their Elephant and Piggie Party is full of fun ideas for budding readers and could honestly be a monthly program. For more book character program ideas, check out our round-up post. Another Mo Willems inspired program (but you could use your favourite rhyming read) celebrates Nanette’s Baguette and its glorious rhymes. We love how Allison the Lightsome Librarian focuses on the importance of rhyme beyond the early years crowd and includes an awesome BINGO template in her School-Age Storytime. You might be all slimed out but Karissa the Ontarian Librarian shares some brilliant new stations for a slime program and also why libraries are the perfect place for slime. Finally, if you’ve been itching to try an escape room this post if for you! We love how Jennifer Johnson breaks down her process, shares resources and makes this Battle of the Bands Escape Room for Tweens and Teens seem downright doable. The Fall is a wonderful time not only for new books but to start checking out what’s coming out next year too. Mile High Reading has not one, not two, but three glorious posts (so far!) featuring 2019 picture books to feast your eyes upon. And finally, we leave you with an absolute gift of a post by Abby the Librarian. Abby is new to her collection development role and her post on Building a Collection Development Toolkit is incredibly helpful if you purchase for all ages, but even her strategy of subscribing to a blog or weekly email would be helpful for youth services folks. Have you seen any amazing program or collection resources out there? Send us an email at jbrary@gmail.com to tell us all about it! Thank you so much for including Jennifer’s great post! I’ll make sure to send it on.